Yesterday was a Project FeederWatch day and there were few birds around to be counted. A few chickadees, a few titmice, a couple downies and hairies. A few others too, but only one jay. That was weird. Any day that I welcome more cardinals than I do Blue Jays is just weird. Today as I sit reading and glancing out my windows at the feeders, the jays are crazy busy. At least 8 of them bouncing around in the plum tree at all the Hot Pepper offerings, dominating the tray below the hopper feeder, and chipping away at a bug nut cylinder. Why today and not yesterday? It’s the same time of day. It’s a little clearer but 20 degrees colder. Maybe it was a colder overnight too. No precipitation either day. We can’t always put an exact reason on why birds are there one day and gone the next, but to calm our minds and satisfy our curiosity, it sometimes helps to remember a comeback from Roger Tory Peterson to a woman inquiring about a wandering bird: “birds have wings”. 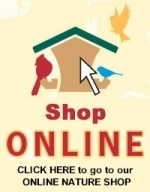 I was searching the internet for mealworm feeders and came across you posts. Found what I wanted to know, Although we have not seen any bluebirds here I want to offer mealworms to the nesting chickadees and other birds or to get them to nest here. A lack of native plants,which we hope to proven upon as there is little food for the chicks. Would like to offer live mealworms but didn't know how to contain them so thanks to you post about mealworms I know how now - not challenge will be the grey squirrels as they get into everything if given the chance. Going to read more of your post as we seem to have a lot in common concerning bird. Thanks so much for your thumbs up! You asked about a favorite feeder besides the cylinder feeder. Well lately, I’ve been big on open tray feeders when matching a No-Mess Blend PLUS a WBU Bark Butter Quick Bite. It turns the tray feeder into a literal bird buffet - sunflower, peanuts, white millet and suet, all on one feeder! I love it and the birds do too! Thanks Ellen! Glad you’re still reading! Hi!!!! I LOVE your posts! Although I have been feeding for ten years, I am always learning more from you! I see you are using the cylinder feeder in the post with the blue jay on it. 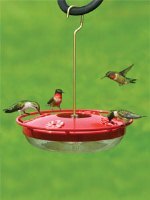 Do you have any other favourite feeders that you use and would recommend? Thank you again and take care of yourself. Pie, thanks for the thumbs up! I'll try to do a better job in 2019 to post more often! Thanks again for the encouragement! Tristan, besides the response "birds have wings", we know that the availability of natural foods, weather, change in surrounding habitat, and presence of predators all contribute to fluctuations in the traffic at our birdfeeders. Thanks for reading the blog and commenting! Happy to see you are back writing Zen Birdfeeder! Please write more! We've noticed a marked decline in birds around our feeding stations this counting season as compared to last season. We have had an increase in Blue Jay activity too. This weeks count had 5 show up at one time but everything else is very quiet.